Earlier this month several environmental groups from Mongolia and Russia, including Greenpeace appealed to the London Stock Exchange to draw attention to a potential risks and actual negative impacts of hydropower operation related to the Lake Baikal, a World Heritage Site, which contains one-fifth of the world’s un-frozen freshwater and a mind-boggling biodiversity of more than 2500 species of mostly endemic aquatic organisms. The En+Group uses Baikal as its hydropower reservoir, about operation of which the World Heritage Committee has raised serious concerns at its two last sessions. Our Coalition warned the En+Group about necessity to disclose its specific environmental risks before the IPO. Unfortunately the Prospectus shows that despite sourcing most of its energy from giant dams the Group largely refuses to list environmental impacts from its hydropower among key risks for its performance and does not suggest any coherent measures to mitigate its negative impacts on Angara and Yenisei rivers and riverine communities. 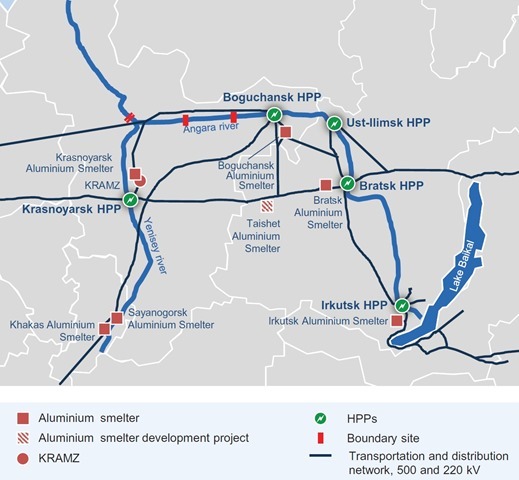 The Prospectus very bluntly describes the En+ role in perpetuation of current unsustainable development mode in Siberia: "the Group is well positioned to benefit as a supplier of sustainable green hydro power to companies involved in energy intensive extraction and production of natural resources to be sold on the Asian markets." So this industry acknowledges its key role in perpetuating the vicious cycle of "colonial-style" plundering of Siberia’s nature and indigenous populations for the benefit of outsiders. OK, this is fair assessment. 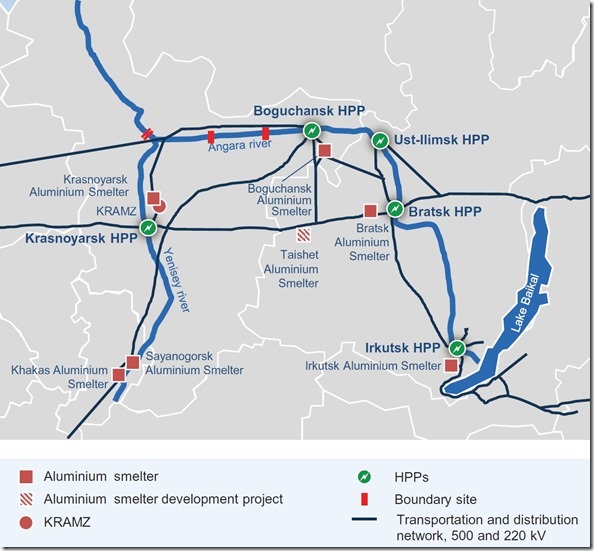 However, the document, without presenting any evidence, says that " the Group’s management believes that its HPPs operate in accordance with high environmental protection standards and provide a low-carbon power source for Russian manufacturing facilities". Lists of environmental standards and measures in relevant portions of the Prospectus do not include a single objective or example of managing environmental impacts from 5 giant hydropower plants. The only related "environmental objective" is to "increase use of hydropower". All of a sudden in an "overview" section on page 169 the Prospectus states that: "The Group WILL adhere to IHA Sustainability Assessment Protocol in order to mitigate and prevent the negative environmental impact of its hydro power plants on Lake Baikal." We are happy to hear that. Some more explanation could be found further at page 264, where external legal regulations are described: "The water level at Baikal is affected by the dams of the Angara HPP cascade. As this is the only river flowing out of the lake, the level of the lake directly depends on the degree of filling of the Angara reservoirs. The slightest fluctuations in the water level in Baikal significantly affect the environmental stability of the Baikal natural territory. Thus, its increase leads to the development of abrasion (destruction of the shores), thus its decrease leads to shallowing of the lake." Further the text acknowledges that " the Government has issued the Resolution, stating that in the conditions of an extremely shallow period in the Lake Baikal basin, the use of lake water resources was allowed below the established minimum value (of lake water level) to avoid the threat of an emergency and provide water, heat and power supply to the population and the economy’s facilities in the region". It is important to clarify that the subsidiaries of the En+ Group are providing most of the " water, heat and power supply" in that area, and thus are the main beneficiaries of the government compromising health of the world heritage site ecosystem. Unfortunately this "legal" passage contains numerous mistakes in dates and sequence of events as well as has important omissions, so that outside reader would not understand that the described "easement" in regulation of the Lake Baikal level has been lasting from 2015 till fall 2017. The Government is likely soon to consider to extend this "easement" to the 2017-2018 winter for no measures have been undertaken by relevant agencies and the owners of the power plants and water-intakes to solve the problem. (see the RwB Appeal). Nevertheless, even such statement is a step forward, for now the En+ Group officially recognizes its negative impact on the Lake Baikal World Heritage site. Just a few days ago it denied such impacts in communication with press ( for example see the Forbes ). Besides, however weird, the Prospectus conveys the current point of view of the Group’s managers, thus facilitating further dialogue with other stakeholders concerned with its environmental and social impacts. This is an important advantage of public listing, which requires disclosure and facilitates addressing key environmental , social and governance issues. The RwB Coalition believes that the specific decisions of the World Heritage Committee (which En+ fails to name or quote in its Prospectus) are far more adequate starting point to deal with the impacts on Lake Baikal than new and largely untested IHA Sustainability Protocols designed by industry for its own needs. However, we still welcome the fact that the Company at least clearly recognized the need to " mitigate and prevent the negative environmental impact of its hydro power plants on Lake Baikal" and we are ready to continue our campaign to assist implementation of the Convention at Lake Baikal in cooperation with all interested parties. On October 2017 we sent a letter to the En+ Board Chair Rt Hon. the Lord Barker of Battle and are still hoping to get his response.